During the last spring days and the beginning of summer, the harvesting lentils jobs are very common in our area. Just last year, we spoke about that when we showed an old manual process of harvesting. In this occasion, this work is absolutely mechanized. Even, some farmers harvest their lentils using a combine (these combines are normally old and small models). Lentils are a very delicate crop when they are harvested because it is very important they aren't splited (we think all people like to eat a dish of orbed lentils). At this time, we visited our friends Timo Alcañiz and his son Javier. 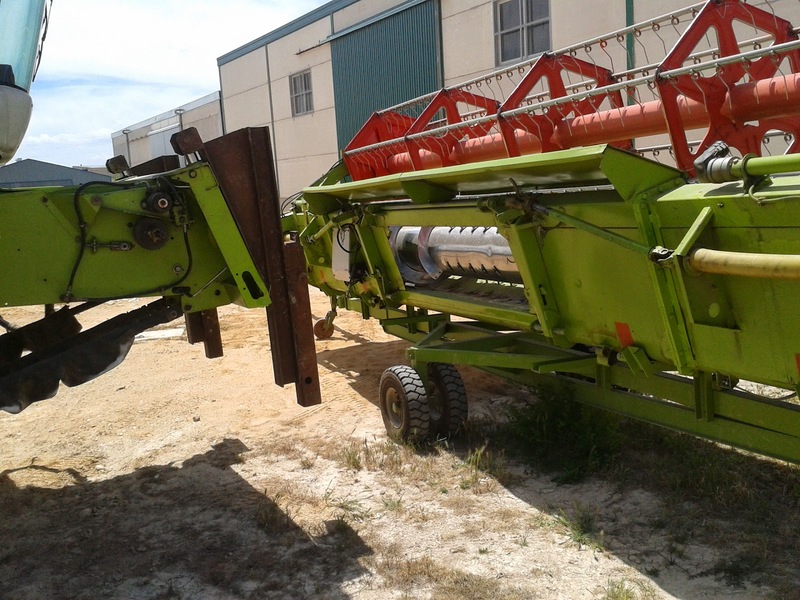 They were working with an old Lenz H240 mower (it has a working width of 2.1m) and their Claas Axos 340. As you can see in our video and our pictures, this task is fatiguing because the tractor has to work in reverse (the working speed is about 3.5km/h)... they can harvest about 4ha per day. On the other hand, the stubble is perfect and lentils do not suffer any breaking. Their lentils are going to be on the field during some days to get completely dry. After that, they are going to pick them up with a special threshing machine... we will try to record a new video to show you the whole harvesting process. ​As we said in the last post about harvesting forage tasks, we continue speaking about this topic, although this time, working with an absolutely different harvester forage. The previous task goal was to chop the crop to silage, at this time the aim is to bale crop to store it. In order to do this, the transformation process of the hay is the lowest possible... this task is very common in our area. 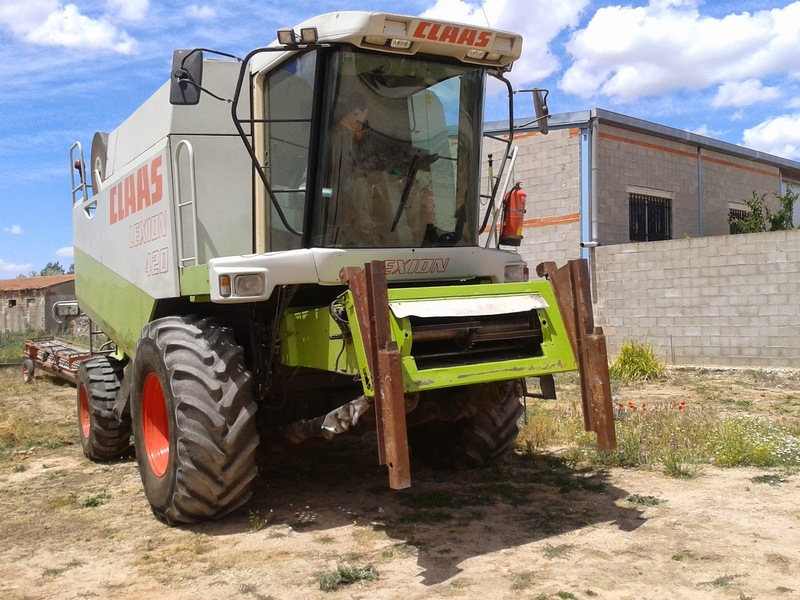 As we published the last year, our friend Juan José de la Fuente (expert driver of combines who has a great company about this type of harvesting jobs) works in these tasks during some months in Badajoz (Extremadura) and La Mancha. In this occasion, he used his Claas Lexion 420 with a special hitch in its cutte​bar. 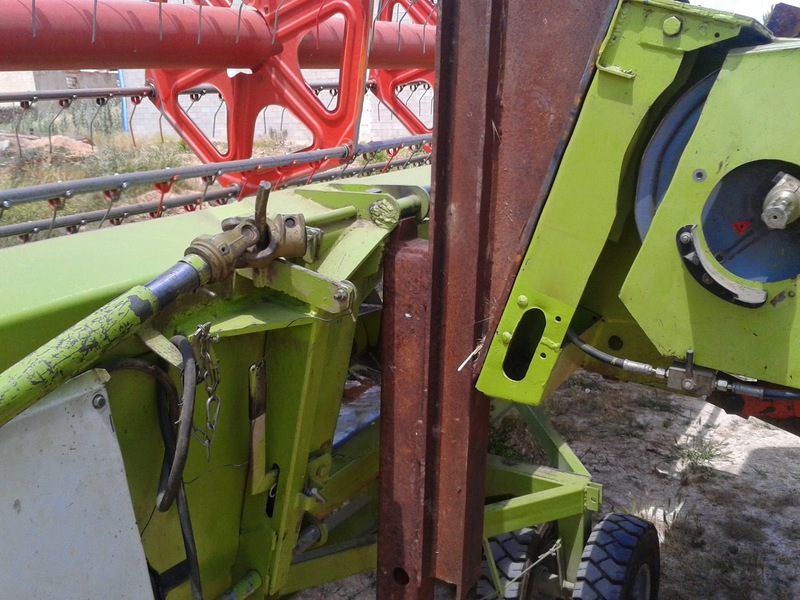 As you can see in our pictures and video, this hitch avoids crop going into the combine and, therefore, the hay is left on the field immediately after its mowing. It is on the soil in the best conditions to bale it after some days when it will be dry. Juan José told us this system can be only used if there isn't too much vegetation because it can suffer clogging problems. 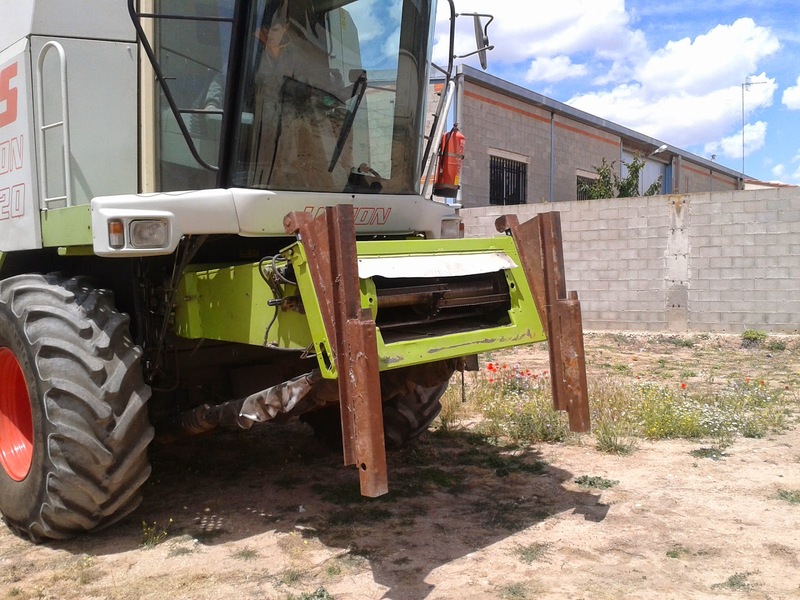 On the other hand, when he uses his special cutte​ba​r for forage with his Claas Dominator 98 SL, he can work in any conditions without problems.